Official Venezuelan crime and violence statistics are hard to come by. If published at all on the Internet, they're not really published timely, easy to find or in an easy to comprehend way (like charts), but in hidden long tables. It's the government's policy and understandable because these statistics are not looking good (even if they're flawed) and the situation is getting worse. As an example the government's National Institute for Statistics (INE) stopped publishing about crime statistics in 2003. In some cases NGO's have taken over the counting, because they don't trust the official crime and violence statistics anymore. But - surprisingly - in case of the Caracas homicide rate the official count was too high for quite some years. Violent crime in Venezuela is pervasive, both in the capital, Caracas, and in the interior. The country’s overall per capita murder rate is cited as one of the top five in the world. In general, a country's homicide rate is regarded as a pretty good indication for the violence and crime levels as well. Violent deaths and corpses can't be hidden from national statistics easily. As Venezuela is doing, a government can try to count some in a different category of the overall mortality rates, but this will usually be revealed. It's a fact that in countries with high corruption, violence and crime rates, the population is very reserved to report crimes to the Police, because they fear retaliation, because the Police will not investigate or because of the corrupt judges. This makes official crime rates unreliable and often the real crime rates are a much higher than the official ones. According to the NGO Observatorio Venezolano de Violencia en Venezuela (OVV), there were 21,692 homicides in 2012, a rate of 73 homicides per 100,000 inhabitants, among the highest in the region. This number is up from OVV’s reported rate of 67 per 100,000 inhabitants in 2011. In Caracas, the rates were even higher, with OVV reporting a rate of 122 homicides per 100,000 inhabitants in the Capital District. Official data by MPPS, and OVV. As you can see at the chart about Venezuela's Homicide Rate above, the Provea/UNODC data resemble the same trend as the official data. Provea's data is said to be be more accurate, because they use other sources as well and they count Police kills (“resistance to authority”). While the official data and Provea's data show a downwards trend since 2008 (the year of Police reform), OVV's data shows a steep upward trend. The OVV also includes “deaths under investigation” in its statistics which even leads to a higher overall rate than the official one and Provea/UNODC's. Official data of 2011 will only come available in September 2013 (It takes MPPS and INE 20 months to prepare and publish). OVV estimates that less than 10% of homicides result in prosecutions. It names impunity as one of the major factors for the increase in crime. According to the Cuerpo de Investigaciones Científicas, Penales, y Criminalísticas (CICPC) official statistics have shown alarming increases in reported kidnappings throughout the country. Police sources indicate that as many as 80% of kidnappings go unreported. On top of that, what is officially counted is solely the "Secuestro Extorsivo" (kidnapping for ransom) and does not include the "Secuestro Express" (speed kidnappings, where the victim is released within 48h for a relatively small ransom) and other types of kidnappings like "Secuestro Virtual". During a visit to Caracas 2012, InSight Crime interviewed a former police official who stated that anything up to 70 percent of kidnappings in the Venezuelan capital had police involvement. He said that many people do not bother to report crimes to the police, fearing that in doing so they would actually be calling those who perpetrate many of those crimes. Armed robberies take place throughout Caracas and other cities, including in areas generally presumed safe and frequented by tourists. Well-armed criminal gangs operate widely, often setting up fake police checkpoints. Only a very small percentage of crimes results in trials and convictions. There isn't one single cause. The present situation was allowed to grow for many years and it looks like the Chávez government mostly created the conditions for it. These conditions are the breaking down of Institutions, the growing Corruption and the growing Impunity. The Chávez government must have thought that implementing Bolivarian Socialism was more important and that the crime and violence problems would decrease in a Socialist country by itself or that they could deal with it later. Apparently this theory didn't fly. Corruption, Impunity and strong institutions are inter-connected and should always be monitored by any government, because the way back to a peaceful and corruption free society is long and costly. The involvement of the Caracas Metropolitan Police in the coup d'etat of 2002 was apparently one of the most significant factors that initiated Venezuela's sliding slope of crime and violence. Chavéz didn't trust the Police anymore and the Chavez government announced the formation of a National Institute of Police Reform and the transfer of soldiers to Police duty. Since Chávez's election in 1998, the government went through at least 19 separate plans intended to confront crime and violence in Venezuela, but didn't work. It took Chávez nine years to get to that point. Prior to the law Ley Orgánica del Servicio de Policía y del Cuerpo de Policía Nacional that was passed in 2008, Venezuela had no legislation that standardized Police procedures across the country. Police training was left in the hands of the National Guard, which resulted in little differentiation between tactics utilized by the Military and the Police. Police officers trained according to a military model of security, have tended to view civilians (especially young males from the lower classes) as a suspicious enemy to be subdued, a mentality that has led to thousands of civilian deaths at the hands of the police each year. Indeed, homicide rates in Venezuela would be around 20% higher if the killings carried out by police officers—listed under “resistance to authority”— were counted as homicides. According to Provea, 3,492 killings in 2010 were placed in this category. Since 2009 the Chávez government has carried forward a comprehensive Police reform that has created a new National Bolivarian Police (Policía Nacional Bolivariana, PNB), a new Police University UNES, and a new General Police Council (Consejo General de Policía, CGP) that oversees the reform’s implementation. Another significant factor that supported Venezuela's sliding slope of crime and violence is the fast growing corruption. Chávez failed to address this and even stimulated it during his terms. The military became corrupt by cocaine trafficking (Cartel de los Soles), the Police became corrupt by taking bribes and participating in (organized) crime. Interior Minister Tarek El Aissami admitted last year that police may be involved in up to 20 percent of all crime in Venezuela. The judicial system has grown increasingly politicized, losing independent judges and aligning itself more closely with Chávez’s political movement. Increasing crime rates made the justice system slow and corrupt. This all led to a massive impunity, which in itself leads to higher crime rates. Because chances are pretty high that you can get away easily with the crimes you commit. Also more victims will not file charges, because they think it's useless or they're afraid. With a high impunity rate crime statistics get substantially more unreliable. The Venezuelan prison system is one of the most dangerous, and badly run, in the world. There have been innumerous riots and clashes, with prisoners having access to automatic weapons. The jails are run by inmate prison bosses known as "pranes." Brutality is the daily fare of inmates, particularly for those without the funds to pay for basic amenities behind bars. It is estimated that 500 prisoners were killed last year and around 1,000 escaped. Prisoners awaiting trial (presently 60% of all inmates) are mixed with the most hardened convicts. The chances of innocent men spending long periods of time behind bars while they await processing by the corrupt and slow justice system are high, matched only by the likelihood that their innocence will be lost during incarceration. The prison system has become a primary generator of organized crime. In fact crime continues from prison. It is known that inmates bribe their guards to leave the prison for a few hours to kill somebody outside the prison and then return afterwards, having the perfect alibi. But amazingly, there is one single prison in Venezuela "run" by pran "el conejo" on the island of Margarita and called the San Antonio prison, that looks like paradise. Watch the video below. If you know that rehabilitation of criminals in Venezuela is next to non-existent, than it is easy to understand that the number of criminals is growing fast in Venezuela and thus the number of crimes. Venezuela has become South America's most important transit nation for cocaine going to the US and Europe. Historically it has been true that Venezuela has not had powerful or sophisticated native organized criminal syndicates, but that is changing. Just as Mexicans have eclipsed their Colombian criminal counterparts over the last decade, there is evidence that Venezuelans are moving in the same direction. Undoubtedly, more organized crime in the country will bring more violence as well. Chávez decided in 2012 to upscale the combat against crime and Violence in Venezuala to a "Gran Misión". The opposition accused him from doing very little and being unsuccessful in combating crime and violence, while Chávez blamed the increasing violence during his terms to the opposition and capitalism. It's the perfect proposal for an election year. 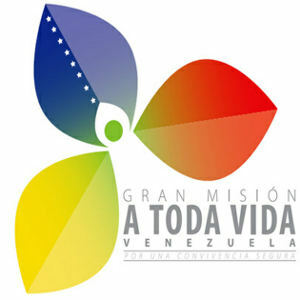 Chávez introduced his Gran Misión A Toda Vida Venezuela (GMATVV) in June 2012. As mentioned above, Chávez did launch during his terms 19 programs to combat violence and crime that were more or less unsuccessful. The people - at least the Chavistas - don't seem to blame the government for the security problem that is going on for years. Roberto Briceño-León, the director of the OVV believes that Chávez's militant rhetoric exacerbates the problem. Chávez regularly used violent speech and said for instance during his last campaign: "You must be ready to take up your arms at any time and give your life if necessary for the Bolivarian revolution." Creation and sharing of knowledge for coexistence and citizen security. , 29 strategic lines and 117 programmatic actions. But the programmatic actions are vague and vulnerable to new interpretations. The time frame of all programmatic actions as well as the budget is completely missing. Maduro hasn't got the charisma and drive of Chávez and probably isn't getting away with failing policies. So far, Maduro has failed to adopt the strategies of the GMATVV within his own PSUV political party as the fistfight of April 30 2013 in the Venezuelan Parliament demonstrates.